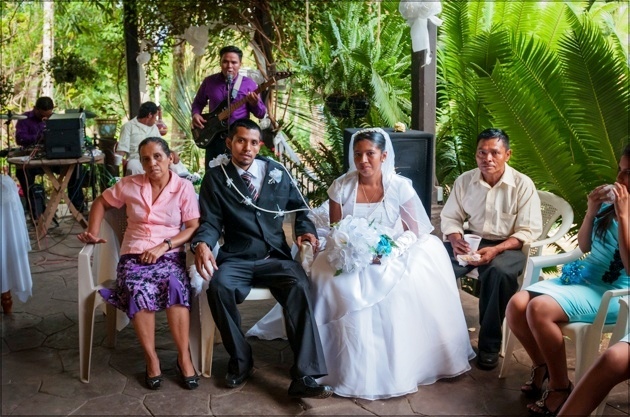 Weddings and wedding traditions in El Salvador vary widely based on the socio-economic level and desire of the couple. 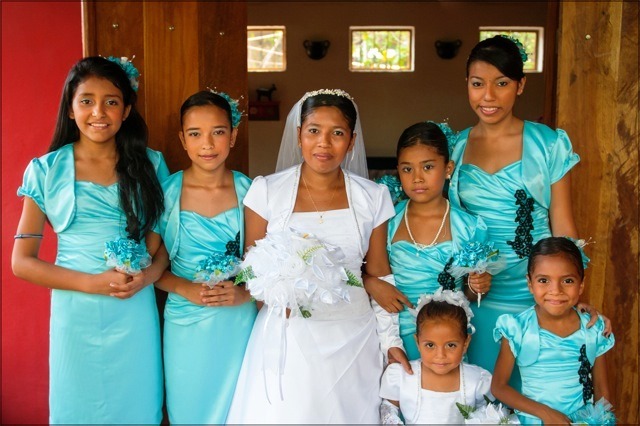 El Salvador recognizes marriage in three ways: informal, civil, and religious. Many of the country’s poor cannot afford a formal wedding at all and simply live in the informal, common-law relationship. The couple must be eighteen years old to marry unless the woman has had a child or is divorced. These unions are recognized by law but can be dissolved. In the event of a separation men are required by law to support the children from that relationship as well as the woman. 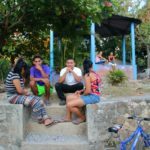 Ideally, extended families on both sides of the couple are expected to support one another in any means necessary, whether it be housing, food, clothing, health care, education, or finances. In reality, a large proportion of families are headed by single women. A civil ceremony can be performed by a mayor, a notary (often a lawyer), or a provincial governor. Sixty days prior to the proposed date of the civil ceremony couples must show a proof of birth, divorce certificate, or death certificate as proof of status. Two witnesses must be present when a couple signs the deed of marriage. 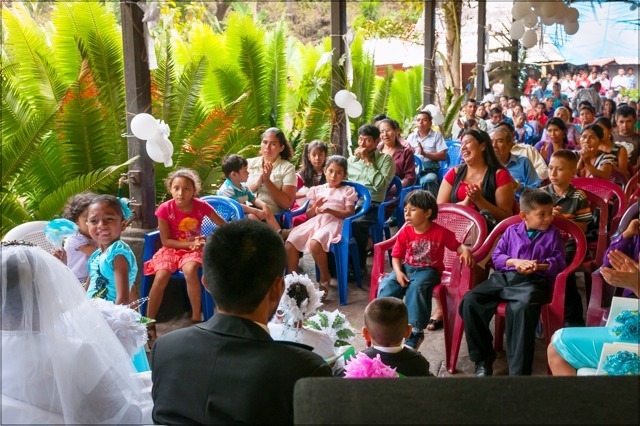 The third recognized typed of Salvadoran wedding is the religious service. It is an option for couples who wish to have one but it cannot occur before the civil service takes place and the paperwork is completed. A marriage performed in a church is considered irreversible. Divorce law requires a separation and a cause. However, the Roman Catholic Church and many evangelical churches never condone divorce. Certain Latin American customs and traditions continue to be incorporated into religious weddings. Two more common practices include the “lasso” ceremony and the coin exchange. The lasso is a decorated cord or ribbon placed around the hands, necks, or shoulders of the bride and groom, tied into an infinity position during the service. It symbolizes never-ending love, long-term commitment, and mutual support. The bride keeps the lasso as a keepsake after the service. Thirteen coins (arras) representing Christ and his twelve disciples are exchanged in the spirit of reciprocity and good stewardship, representing mutual responsibility, trust, and confidence. These coins become a family heirloom. This couple wears the lasso around their necks during their wedding ceremony. Padrinos are like wedding godparents who help contribute financially to the costs of the formal religious wedding. Sometimes separate ones, such as a “cake padrino,” pay for a specific item. As with American weddings the cost of entertaining a large extended family can quickly get out of control. We had a chuckle when a friend of ours who was relatively new to El Salvador was asked to be a padrino for a couple about to be married. She knew it meant “godparent,” and when she agreed to this role, she simply thought it was an emotional commitment. It was only later that she discovered she was covering a large portion of the cost of the reception. She laughs now and would have done so anyway but considers it a learning experience. 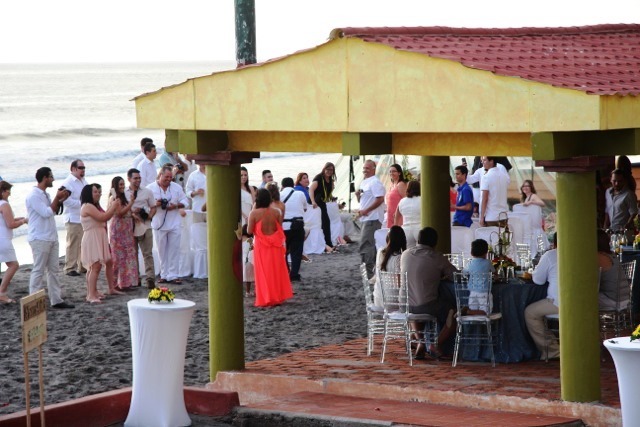 Types of Salvadoran wedding services do vary yet couples hold tight to their Latin American roots in terms of customs and traditions within the services themselves.